The region’s best-loved value fashion brand shows ladies how to raise the style stakes this spring. 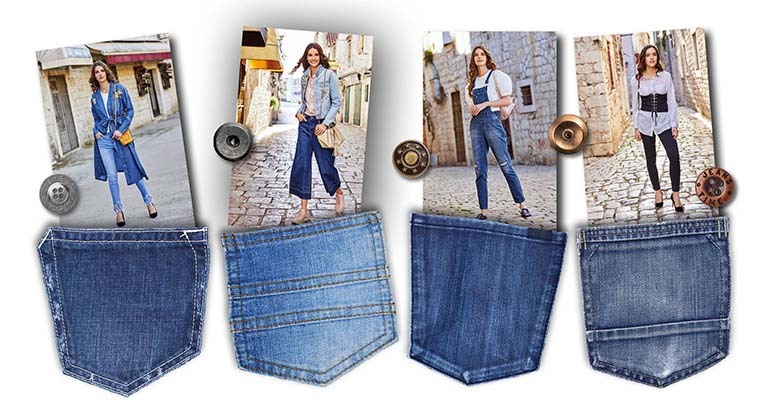 For many of us, denim is the go-to option for casual wear. We all have our favourites, whether it’s the black pair of jeans you’ve had for years, or the trendy skinnies you bought last summer. But with the upcoming change in season, and all the latest styles making their mark, it’s time to go shopping. 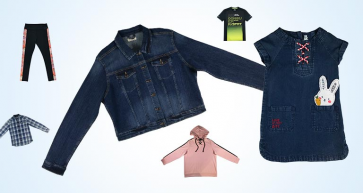 These five cool looks from Max Fashion’s new Denim Daze spring collection will keep you looking on-trend. A choice that is perfect for tall girls, culottes can be chic and very flattering if they are worn the right way. The trick is to see them as a midi skirt and style them with a statement jacket. Choose an embellished jacket from Max for a feminine touch. Pay attention to proportion though; an extra-large top won’t pair well with the culottes. Accessorise with bags in lighter tones, such as pastel pink, yellow or orange. Decorated denim is everywhere right now – colourful embroidery, sequins, pearls and even denim-on-denim designs. Let these pieces be the highlight of your outfit and reduce everything else to a minimum. For instance, as your adorned jacket already makes a statement, wearing it with a solid, more basic outfit will keep your look classy. Similarly, take a minimalist approach to accessories to let your patterned denim stand out. No matter what your shape and size, there are dungarees that will let you rule this trend like a star. Once confined to the playground, these practical pieces are a big trend for springtime. Dungarees are versatile and easy to wear. All you need to do is add a simple white T-shirt with oversized sleeves for the weekend and a plain colourful shirt for a night out with the girls. Wear with casual shoes or sandals during the day, and slip into heels for an evening about town. This wardrobe staple is the easiest to pair with anything. The key to looking like a million dollars in plain old black jeans is in how you style them. Keeping it simple and sophisticated, with a classic button-down shirt and a pair of statement heels, will never go out of fashion. If you’re feeling experimental, add a wide black corset or belt for a slimmer look, but make sure you choose the right width. Thick belts are great for women with longer torsos because they help shorten their upper bodies, making them look more proportionate. A narrower belt may be the better choice for shorter girls. A hybrid between a kimono and a dressing gown, the denim robe is a must-have for the season. Max Fashion’s embroidered version ups the style factor and is an ideal choice for a relaxed afternoon. It’s best worn with fringed or ripped skinny jeans and black heels.